How do you get Portland’s college kids stoked about Nike’s new Destroyer Jacket. 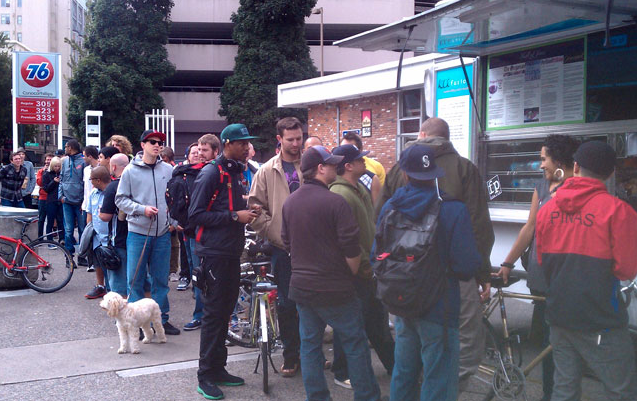 We launched through one of the Portland’s most popular mediums-the infamous food trucks. Through the trucks’ Twitter feed (and Facebook places), we got the word out and packaged a nice surprise in the form of a Destroyer Burrito. Then we let word of mouth do its thing. For two days people waited around the block to get their burrito. The event was also held at 4 other cities.